One of the things you can look forward to in 2013 is Netflix and its new adventures in original programming, and it looks like there’ll be something for us sci-fi lovers in the line up. While Hemlock Grove doesn’t have an official air date beyond “Early 2013” we do know it’s made a lot of progress since the project was announced in March 2012. So as we wait patiently for our premiere date, here’s a bit of what we know about what lies in store for us. First, say hello to the cast. Famke Janssen (X-Men), Bill Skarsgard (Anna Karenina), Landon Liboiron (Terra Nova), Penelope Mitchell, Lili Taylor (Six Feet Under), Dougray Scott (Ever After), and Aaron Douglas (Battlestar Galactica) are a few to be directed by Eli Roth (Hostel). “Hemlock Grove” starts with the body of a young girl, mangled and murdered in the shadow of the former Godfrey steel mill. Some suspect an escapee from the White Tower, a biotech facility owned by the former steel magnates. Others believe the killer could be Peter, a 17-year-old Gypsy kid from the wrong side of the tracks, who tells his classmates he’s a werewolf. Or it could be Roman (Skarsgard) , the arrogant Godfrey scion, whose sister Shelley is disturbingly deformed and whose mother, Olivia (Janssen) , the otherworldly beautiful and controlling grand dame of Hemlock Grove. Filming of the 13 episode order began back in July in Toronto, no word on its completion, but if I’m being honest, this cast, this director, and this plot has more than perked my interest in what Netflix has in store for us. 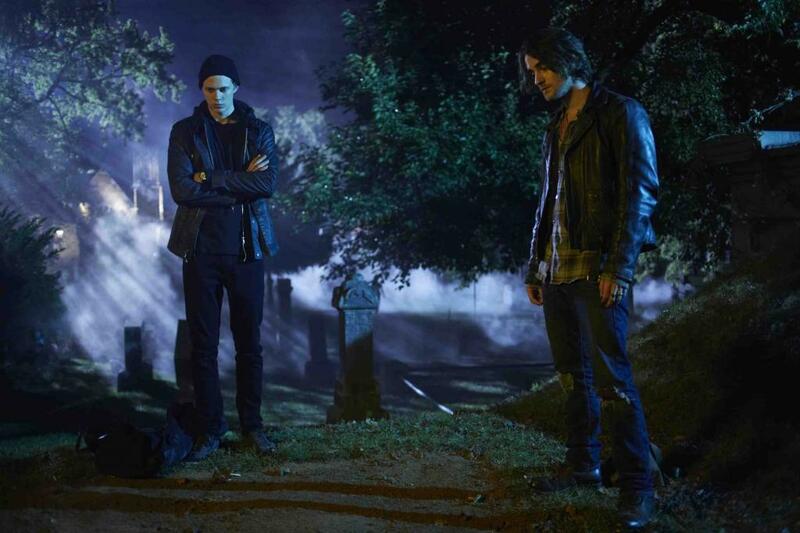 We will keep you posted on any more news for Hemlock Grove. 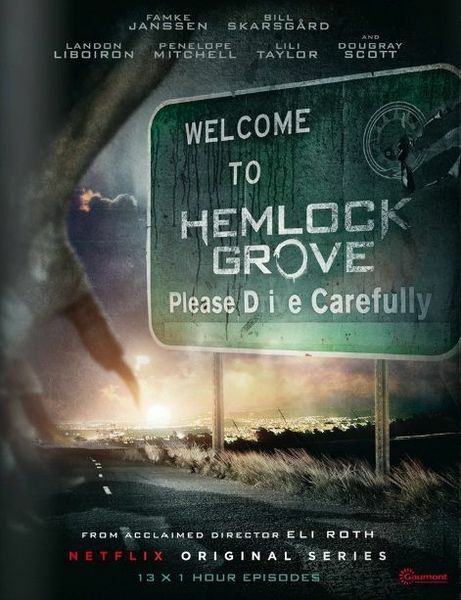 Hemlock Grove, starring Famke Janssen and Bill Skarsgard, premieres in 2013 on Netflix.